John Garrett, “The Recovering CPA,” is on a mission to help firms develop a culture where professionalism doesn’t suffocate their personality. As a speaker and consultant, firms regularly come to John because of his unique view that firm culture starts outside the office with each individual’s passions and interests. John graduated from the University of Notre Dame with an accounting degree before starting at PwC and earning his CPA. He then became a professionally-touring comedian, writing for an Emmy-nominated show, recording a comedy album now on Sirius|XM, and hosting the weekly Green Apple Podcast. Nancy Harris joined Sage’s Vancouver office in 2011 to serve as vice president and general manager of Sage 50 Accounting, Canadian Edition, and later as managing director of the company’s Canadian business. Throughout her tenure, Nancy has been instrumental in advancing Sage’s presence in North America by cultivating an exceptional experience for the company’s partner, customer and accountant communities. She has more than 30 years’ experience in sales, marketing and partner development, successfully leading large SaaS and enterprise software companies. Nancy Harris will be a featured speaker for all of the United States events. Prior to joining Sage in August 2016, Struthers spent 15 years with Amdocs, a global software solutions company servicing the world’s largest communications, entertainment and media service providers. Previously, Struthers managed the Enterprise Resource Planning consulting practice at RSA companies, where he also led and supported over 20 projects for small and mid-sized businesses in the U.S. and Canada. Prior to RSA, Paul oversaw business transformation initiatives for small and mid-sized business customers at Bell Canada. Paul Struthers will be a featured speaker for all of the Canada events. Take a look at the basic agenda below. A detailed agenda will be provided in Event Locations. Join our Sage leadership team as we welcome you to Sage Sessions. Network with peers and mentors while checking out the latest technology in the Solution Area. Get trained by Sage experts and gain business strategy insight from industry leaders at a breakout session of your choice - we have up to 25 topics to choose from. Enjoy a gourmet lunch while connecting peers and industry leaders in our Solution Area. Join us as we wrap up Sage Sessions with a special reception and provide your feedback. Event has already occurred. Thank you to everyone who joined us! Altec is a leading provider of integrated document management and workflow solutions. Its flagship product, DocLink, enables companies to capture, archive, workflow, and route any document for any process, anywhere. Connecting data for thousands of customers globally, Altec also enjoys strong, collaborative partnerships with ERP solution providers such as Sage to provide the most comprehensive enterprise document management solution. Avalara offers end-to-end transactional tax compliance automation for Sage. Their solution, Sage Sales Tax automates the calculation of sales tax, exemption certificate management and returns filing. Sage, a market leader for integrated accounting, payroll and payment systems, offers Beanworks as the official provider of accounts payable automation for Sage in North America. Sage customers can now join thousands of other users who have made the jump to automated and paperless accounts payable powered by Sage AP Automation. As a Sage 100 Gold Master Developer Biz-Tech Services has a proven track record and the experience delivering quality software solutions for small and mid-size businesses. Blytheco guides business transformation through thoughtful decisions, trusted relationships and a focus on client success, all with emphasis on delivering elegant software solutions. CertiPro Solutions is a team of experienced professionals with over 25 years experience in ERP consulting. Based in Los Angeles, CertiPro Solutions is ready to take on the challenges you face on a day to day basis. We are dedicated to providing not only the best solutions, but the right solutions designed just for your business. When you work with CertiPro you have complete access to the entire team of certified developers, consultants, technicians, CPA's, and software programmers. DSD Business Systems is comprised of dedicated software and IT experts, consultants, and CPA’s. We provide expertise in the selection, purchasing, customization, integration, implementation, training and on-going support of business management software systems. This can also include the IT infrastructure necessary to support them. Our focus is on delivering exceptional software solutions to enable business efficiency, growth and success. With over four decades of Sage 100 experience, FayeBSG provides Sage 100 Users software integrations, consulting, support, and customizations to their platform. We're Sage Certified Developers and want to help you maximize your Sage 100 platform. "Kerr Consulting is a premiere Sage technology solutions provider for X3, 100, 300, 500 and Intacct. Kerr has authored numerous enhancements to Sage products including OCR, eCommerce, Multi-Tenant, Preventative Maintenance and Food Safety. Through automation, integration, and development, our digital transformation strategies have allowed thousands of companies to focus more on their core business. Kerr operates as an end-to-end managed services administrator, specializing in business applications and cloud technology. We offer world class solutions to small, medium, and enterprise customers, solving their business challenges by designing innovative technology strategies. Kerr Consulting has been selected multiple times by Accounting Technology as one of the top installers of accounting, manufacturing and CRM software. With over 3000+ clients in all 50 states and over 23 countries, Kerr's client base is diverse. Kerr has offices in Houston, Atlanta, Charleston, Chicago, Dallas, Davenport, Des Moines, Detroit, Huntsville, Indianapolis, Kansas City, Los Angeles, Milwaukee, Omaha, Orlando, Pittsburgh, San Diego, San Francisco, and Washington DC. Kerr Consulting is headquartered in The Woodlands, TX. For more information on our Sage products, please visit http://www.kerrconsulting.com or call us at (281) 364-8783. Connect with us on LinkedIn, Facebook, Twitter, and YouTube. Recognized as Sage’s top partner for 2017, Net@Work provides unmatched consulting, implementation & development services across the entire Sage ERP, CRM, HRMS and extended portfolio. Specialists in integrations and custom development, Net@Work offers a complimentary set of comprehensive solutions including: Cloud & Managed Services, Office365, Salesforce, Magento & Shopify eCommerce. Paya, Inc., provides payment technologies and solutions to businesses of all sizes. Paya’s highly adaptive platform enables businesses to get paid, make payments, and manage their money—simply and securely. With Paya’s solutions, businesses can operate any way and anywhere their customers exist—on site, online, or on the go. Paya’s comprehensive suite of solutions and services deliver easy-to-use payments technology for every stage of a business’s growth. For more than 20 years, Paya has combined its substantial data capabilities with real-time reporting, providing unmatched visibility to cash flow and transaction data for its customers. Paya’s seamless connection to business applications offers valuable business insights that enable customers to run their businesses smarter, so they can run them better. Paya is a GTCR private equity company headquartered in Reston, VA, with offices in Atlanta, GA, and Fort Walton Beach, FL. For more information on Paya, visit www.paya.com or follow us on Twitter @PayaHQ, LinkedIn at Paya.com and on Facebook at PayaHQ. Come and learn how you can get immediate value from adding this solution to your business. Purpose built for Sage, Sage eCommerce is the world’s only Sage certified eCommerce solution. Sage eCommerce seamlessly extends your Sage platform to the digital world with real-time, two-way integration delivering you Intelligent eCommerce. Sage Enterprise Intelligence is an intuitive and complete business intelligence solution which provides all users with access to the data they need to for improved decision making. Sage Inventory Advisor (SIA) is a cloud-based Inventory Optimization application. SIA extracts data from your Sage ERP and presents a dashboard with actionable information and purchase recommendations. It uses 15 sophisticated algorithms to project future demand of each item in each location using historical data. It alerts the user to problem areas in your inventory, and makes recommendations on what to buy and when. The user gets great visibility into the health of their inventory. The result is reduction of excess stock, minimized stock-outs, and greater efficiency. This means more cash, less costs, more sales and greater profits. From basic barcoding to the most complex distribution and manufacturing operations- Scanco software is positioned to grow with our customers ever-changing business needs. We are focused on providing top-tier, fully integrated automation solutions built specifically for your ERP solution. Today, thousands of world-class distribution and manufacturing companies have automated their facilities with cutting-edge Scanco technology. SWK is a top Sage VAR and publisher of Sage exclusive add-ons such as MAPADOC EDI. ISM is a national Sage partner, software application hosting company, and independent software vendor (ISV) focused on helping small and medium-sized businesses by extending the functionality of their ERP system through hosted solutions and Sage 100c add-ons and enhancements. For more information, visit http://www.goism.com, email am@goism.com, or call +1-877-496-5350. Visibility Software is an Endorsed partner focused on delivering Talent Acquisition (Cyber Recruiter) and Talent Development (Cyber Train) solutions across the Sage marketplace. ProcessWeaver is a multi-modal inbound and outbound shipping execution for SAGE ERP's in order to help manage logistics cost while having the visibility to track shipments within SAGE for your partners, customer and internal deliveries. IWI Consulting Group Inc. assist Canadian businesses and non-profits to adapt the best operations and finance system optimization technology, known as Enterprise Resource Planning (ERP), for efficiency and growth. Their dedicated ERP consulting team specializes in helping SMB & large size companies select and adapt enterprise software and business systems, such as Enterprise Resource Planning (ERP), Customer Relationship Management (CRM), Human Resource Management (HRMS) and IT services. As a Sage business partner, servicing the Greater Toronto Area, they support the evaluation and implementation of ERP, CRM and HRMS systems, ensuring high return on investment and ensure a quick and painless transition to new software. olution. GWA helps clients streamline their repetitive processes into a smooth flowing, efficient course of action because repetitive, mundane tasks cost companies much more than realized. WayPay streamlines the accounts payable process for businesses by connecting to any AP system and automatically reconciling payments sent to local or international suppliers from any combination of bank and credit card accounts. ZAP’s mission is clear: to connect your business with data. Game-changing insight that impacts business performance only happens when you analyze data by business process or team objective, as opposed to by file type or IT system. This is what ZAP enables. EMDA tackles critical data challenges, delivers value to all business functions and works with an array of apps and data sources, replacing inefficient and inaccurate manual data processing and time-consuming and expensive data warehouse projects. BAASS is a full-service technology consulting firm with 30 years’ experience in providing quality products, services, and support to clients in a number of industries across Canada, the U.S.A, and the Caribbean. Believe in the promise of technology. 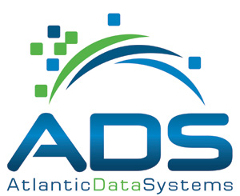 Build a better, brighter business, with Atlantic DataSystems. Our team is committed to success with our customers and with Sage. Mantralogix is a trusted technology partner, serving Canada, US, and the Caribbean since 1996. We specialize in ERP/ Accounting, Construction software, and CRM Solutions, as well as a host of leading IT solutions & services. Our core values drive us to work with you, leveraging technology to increase flexibility, creativity and agility to support your human talent and as a result, your business. For us, it's personal, not just business! © 2018, Sage Software, Inc. All Rights Reserved. Sage provides small and medium sized organizations and mid-market companies with a range of easy-to-use, secure and efficient business management software and services - from accounting, HR and payroll, to payments, enterprise resource planning and customer relationship management.